Walter was born on 14 September 1898, the son of Richard Palmer and his wife Elizabeth Maud, née Whiteman. In all Richard and Elizabeth had six children: Annie Maud (born 1892), Ernest Alexandria (1896), Walter Henry (1898), Elsie May (1901), Winifred Evelyn (1904) and Leslie Francis R (1907). Ernest’s second name, Alexandria, appears a very odd choice, but this is clearly not a mistake as it appears on more than one official record. One wonders what his mates made of it when he joined the Navy? Richard was a groom, born in Lambourn, who came to Newbury in the 1870s after his sister Elizabeth married Henry Wainwright and settled in the town. He married Elizabeth Whiteman, his second wife, in 1891. He died in 1908, when Walter was only nine years old, leaving Elizabeth in a very precarious position. She was rescued from this position when she remarried in 1909 to William Charles Westall; she had another child, Daisy Louise, later that same year. In 1912 Walter’s elder brother, Ernest, joined the Navy aged 14. The Navy took on young boys in a form of apprenticeship; they received comprehensive training while providing useful service on board ships running errands etc. At the age of 18 they would sign on as Ordinary Seamen, destined for a career in the world’s most powerful navy. It seems likely that he found the naval life enjoyable and rewarding for Walter too signed on at the age of 15, on 9 February 1914. After he finished his schooling he started work as a farm boy, presumably working for his step-father on Hill Farm, Shaw, before recalling Ernest’s tales and deciding that the navy was a more interesting place to work. Starting as a ‘Boy Class II’ he was promoted to ‘Boy Class I’ on 30 August 1914 – days before his 16th birthday. Although he reached 18 in September 1916 and signed on for a 12 year term with the Navy he was not promoted to Ordinary Seaman at that time, having joined aged over 15 he had not yet completed his training. His Navy record gives a basic description of Walter, aged 15; he was 5ft 4in tall with brown hair, hazel eyes and a fresh complexion. Walter began his naval career on board HMS Impregnable, an old wooden three decker. 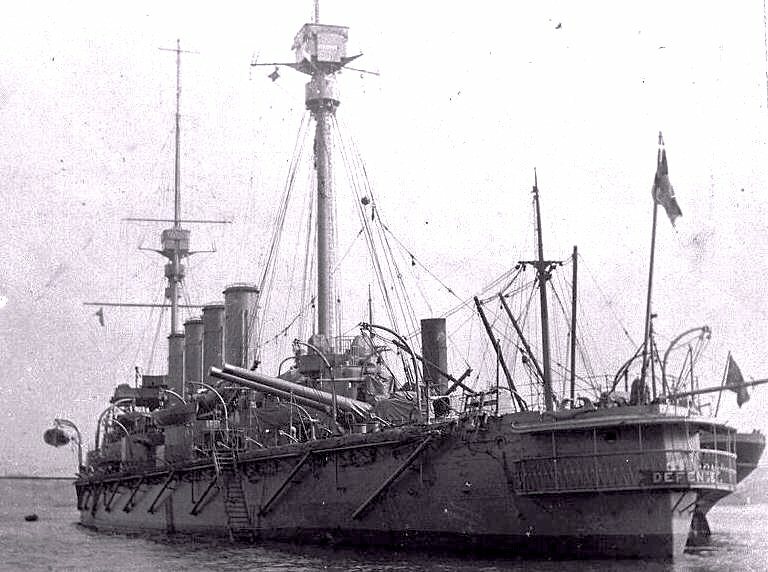 Originally built as HMS Howe she was obsolete before she was launched as the first ironclads appeared. 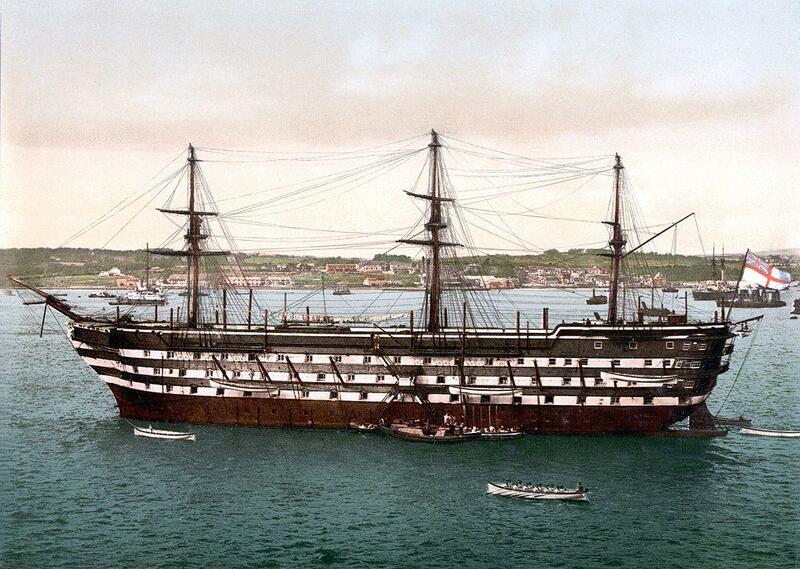 She eventually entered service as the training ship HMS Bulwark in 1885 being renamed HMS Impregnable in 1886. Her role in 1914 was as a school ship where teenage recruits would be introduced to the Navy. His first real ship was HMS Revenge, a pre-dreadnought battleship, which was also relatively obsolete in comparison with the faster, more heavily armoured and armed dreadnoughts. By the time Walter came on board on 26 October 1914 Britain was at war. On 1 July 1915 HMS Revenge was renamed HMS Redoubtable and a newly launched modern battleship took the name HMS Revenge. In October 1915 Walter moved on, to HMS Defence; launched in 1907 she was the last armoured cruiser built for the Royal Navy. As part of the Grand Fleet, based at Scapa Flow in the Orkneys, HMS Defence was part of the Navy’s blockade of Germany that was to have such a significant effect on the outcome of the war. In May 1916 the German Imperial Navy made their biggest attempt to break the blockade when their main fleet set sail into the North Sea from Wilhelmshaven. The Grand Fleet set sail from Scapa Flow and the Firth of Forth to confront the German fleet anticipating a major fleet action that they fondly believed would assert the Royal Navy’s superiority and shatter German hopes. HMS Defence acted as the flagship of Rear-Admiral Sir Robert Arbuthnot, commanding the First Cruiser Flotilla and forming the starboard element of the cruiser screen ahead of the Grand Fleets battleship force.They were heading for the Battle of Jutland. At 5:47 p.m., Defence, and HMS Warrior, the leading two ships of the squadron, spotted the German II Scouting Group and opened fire. Their shells fell short and the two ships turned to port in pursuit, cutting in front of the battlecruiser HMS Lion, which was forced to turn away to avoid a collision. Shortly afterwards, they spotted the disabled German light cruiser SMS Wiesbaden and closed to engage. When the two ships reached a range of 5,500 yards (5,000 m) from Wiesbaden they were spotted in turn at 6:05 by the German battlecruiser SMS Derfflinger and four battleships who were less than 8,000 yards (7,300 m) away. The fire from the German ships was heavy and Defence was hit by two salvoes from the German ships that caused the aft 9.2-inch magazine to explode. The resulting fire spread via the ammunition passages to the adjacent 7.5-inch magazines which detonated in turn. The ship exploded at 6:20 with the loss of all men on board; between 893 and 903 men were killed. Walter's brother, Ernest, was also at Jutland, a telegraphist on the light cruiser HMS Birkenhead (part of Admiral Beatty's battle cruiser force based in the Firth of Forth). All the sailors returning to their base must have had in mind those who would not be returning, Ernest would probably have known that he wouldn't see his young brother again, and would have been worrying about the effect this would have on his mother and other siblings. Jutland was an inconclusive action as neither fleet was defeated, though the British losses (14 ships, 6094 sailors) were far more severe that the German (11 ships, 2551 sailors). However, it can be seen in retrospect as a victory for the British since the German’s did not send their fleet to see again until it was sailed to Scapa Flow in 1919 to surrender to the British. Walter has no grave, he went down with his ship. 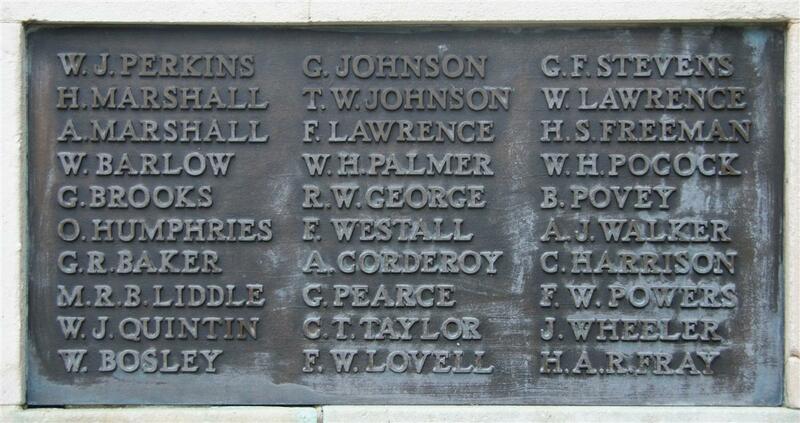 His name is remembered on panel 13 of the Plymouth Naval Memorial. At the time, it was believed that Defence had been reduced to fragments by the explosion, but the wreck was discovered in 2001 by a diving team led by nautical archaeologist Innes McCartney and found to be largely intact, despite the incredible violence of her sinking. Defence, along with the other Jutland wrecks, was belatedly declared a protected place under the Protection of Military Remains Act 1986, to discourage further damage to the resting place of approximately 900 men. William Henry Palmer, 1st class boy on board the cruiser Defence, went down on Thursday last with his vessel in which so many brave seamen perished. Deceased was the son of the late Richard Palmer, formerly employed at Elliott’s, and Mrs Westall, now of Hill-farm, Shaw, and if he had lived till September would have been 18. He joined the Navy just over two years ago. Trained on board the Impregnable, he was subsequently transferred to the Revenge and the Defence, the latter he joined only about four months ago. He was on leave for five days as recently as three weeks ago, and a letter received on Tuesday last week, told his mother of his safe arrival, and that he would write the following Thursday, the day the engagement occurred. He has a brother, aged 20, serving on the Birkenhead, on which he has been nearly four years. Mrs Westall is expecting that her husband will be called up with his group during the present month. It is unclear what comfort a photograph of the Admiral would offer bereaved parents! Locally Walter is remembered on tablet 5 of the Newbury Town War Memorial, the memorial board and roll of honour in St Nicolas’ church and on the splendid memorial in the United Reform Church, Newbury. He is also remembered on the village memorial in Cold Ash – the Commonwealth War Graves Commission has an address for his mother and step-father at ‘1 Fair View, Kiln Road, Shaw’ – this was, in fact, in Cold Ash until 1934, when boundary changes moved it into Newbury. He is also, almost certainly, the ‘W T Palmer’ recorded on the Cold Ash Roll of Honour in St Mark’s Church. At the time of Walter’s death his family was living at Hill Farm, Shaw, but his name is not on the Shaw memorial (unveiled 1 December 1918), suggesting that they had moved to Kiln Road before that date. As already noted, William’s brother Ernest also served in the Royal Navy signing up on 12 August 1912, aged 16. He too went through the schooling on HMS Impregnable before serving on numerous ships first as an Ordinary Seaman but, from 1914, as a Telegrapher, rising eventually to the rank of Petty Officer Telegrapher. Much of his wartime service was on HMS Birkenhead, a Town Class cruiser that was being built by Cammell Laird for the Greek navy when war broke out. In 1915 the Admiralty purchased the Birkenhead and a sister ship (HMS Chester) that was also being built for the Greeks. Ernest served on the Birkenhead from September 1915 to September 1917, seeing action at the Battle of Jutland. After leaving the Birkenhead he spent the rest of the war on HMS Centurion, one of the Navy’s four super-dreadnought battleships. He left the Navy in 1928 and died in 1982, aged 86.